Over the years Mick Abrahams has recorded a number of solo albums, steeped in the delta blues DNA that had mystically been passed down to him by Robert Johnson. Mick is 71 now, and not in the best of health, but he still has the heart of a bluesman and the remarkable musicianship on this gem of an album pays testament to that. And now, he has made what is possibly the strongest album of his career. This time he is accompanied by a whole slew of special guests including: Martin Barre, his successor in Jethro Tull; legendary singer, Paul Jones; Elliott Randall, Steely Dan’s one-time guitarist; Jim Rodford, bass player from The Kinks; Bernie Marsden, the guitarist from Whitesnake - and Bill Wyman, the best bass player The Rolling Stones ever had. Martin Webb has sent me a scan of a short Q&A with Mick which will be in the latest edition of Record Collector. A true legend in Jethro Tull circles and the music world in general. 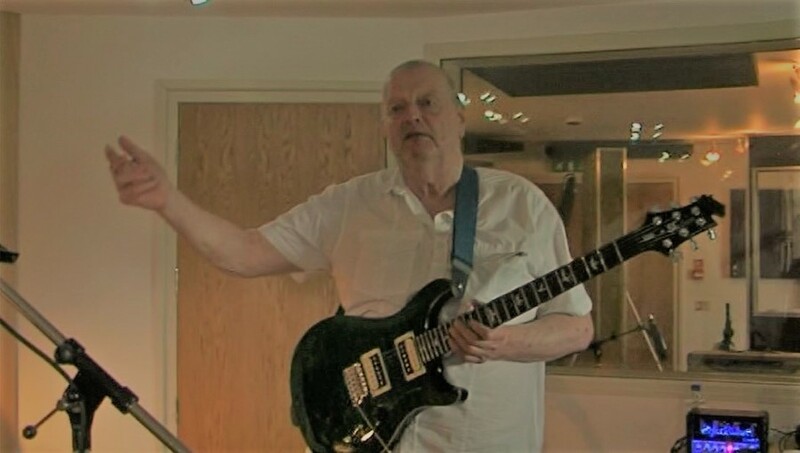 On the guest list are former Steely Dan guitarist Elliott Randall, ex-Stones bassist Bill Wyman and Martin Barre, who succeeded Abrahams in Tull. You can get a taste of the proceedings by searching (what else) “Mick Abrahams Revived” on YouTube. 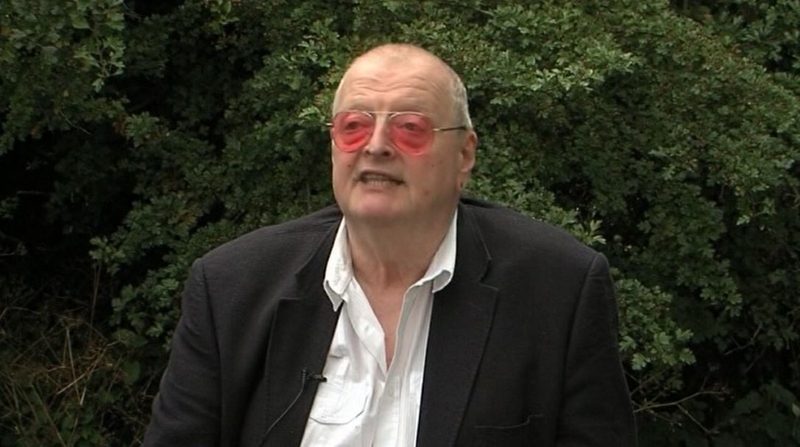 It’s something of a miracle that Mick Abrahams is recording again, after a 2009 stroke took him out of action. In fact, the founding Jethro Tull/Blodwyn Pig guitarist/vocalist wasn’t well enough to make a recovery until 2014. 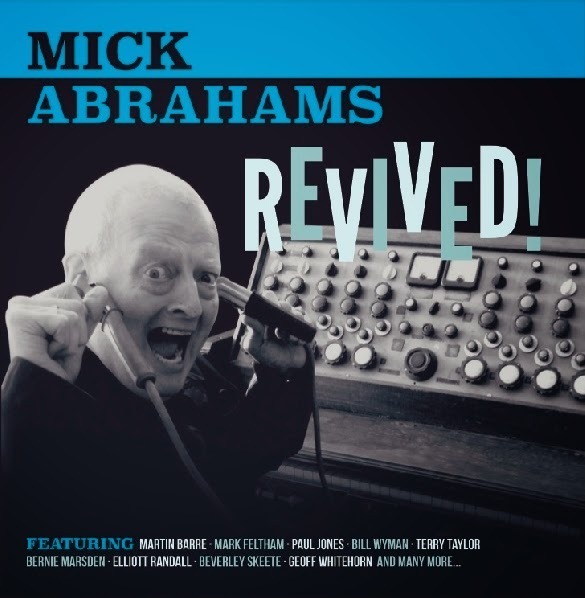 Revived!, with a funny album cover mocking Frankenstein, shows Abrahams hasn’t lost his sense of humor. The levity continues during recording sessions seen on the bonus DVD for Revived!, and in his own liner notes. Revived! continues with the Chuck Berry classic “Nadine”; again assisted with Eldridge on lead vocals, it chugs along rather well. Mick Abrahams steps up to the mike and takes one of his two solo lead vocals on the blues ballad “Remember,” performing so impressively that I wished he’d sung the majority of lead vocals on Revived! “Goodnight Irene,” a folk classic originally popularized by Lead Belly, is the other Abrahams vocal. It’s made over into a slow blues shuffle, with Manfred Mann’s Paul Jones adding some sweet harp. 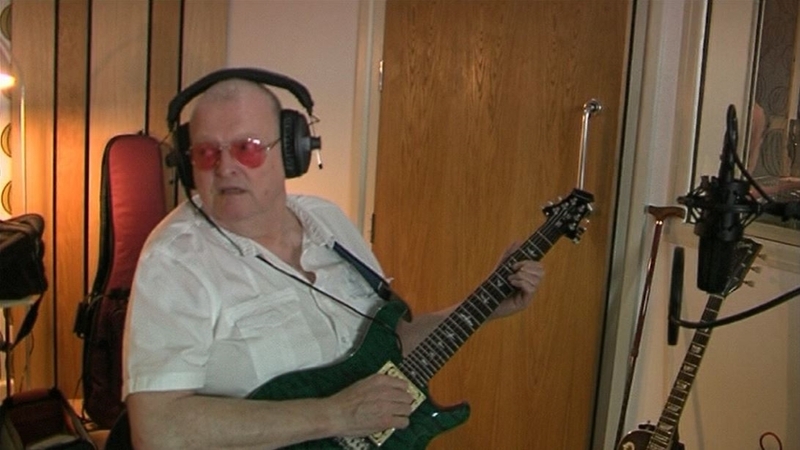 Favourite track today - "Dragonfly" written by Mick's son Alex and played on the album as a duet. 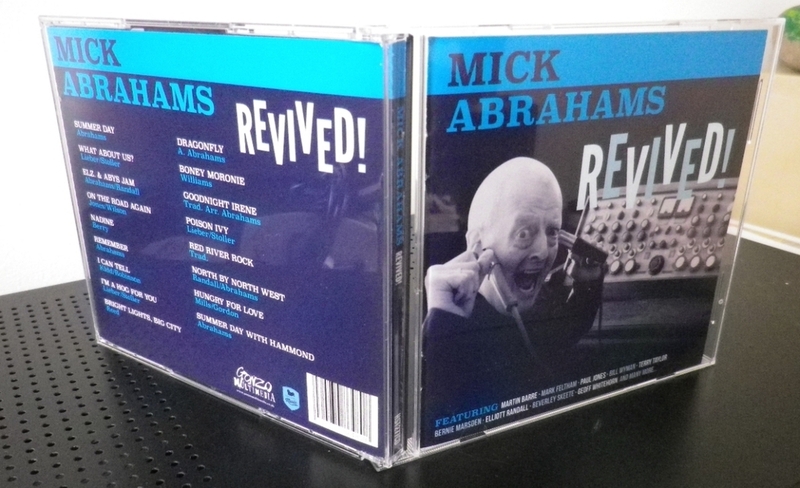 Mick Abrahams’ Revived! could have multiple meanings as Mick is revived after major health issues or he might be saying that many of the songs on his 17-track CD are re-energized covers. 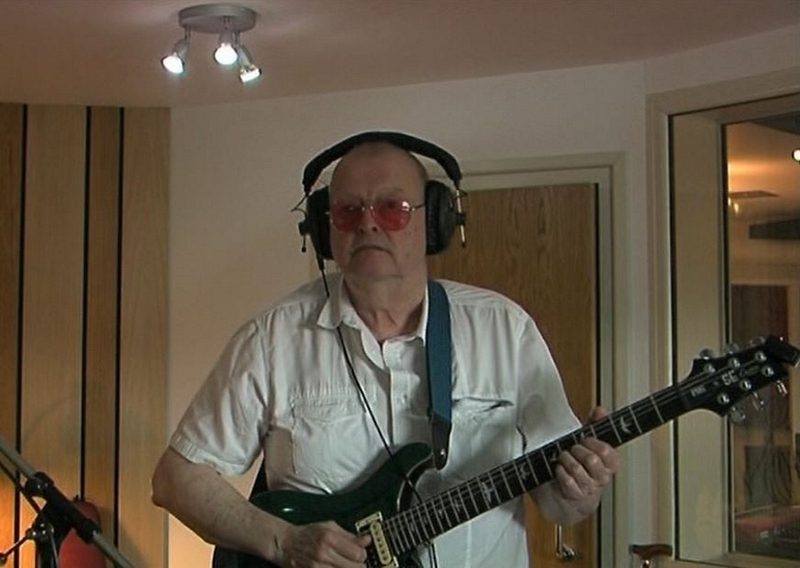 Either way, Abrahams (the original guitarist in Jethro Tull and the driving force behind Blodwyn Pig) serves up an invigorated mix of diverse musical styles all spiked with hot guitar licks often infused with the blues. The album opens and closes with an original in two versions. “Summer Day” sizzles with smoking riffs and rhythms. Mick and his band put a creative spin on “On The Road Again” and have fun with “Boney Moronie.” There are also a number of instrumentals on Revived! including the delicate and delightful “Dragonfly” featuring two dancing guitars. Mick Abrahams is back with a nod to the past yet very much in the present with this flavorful album.